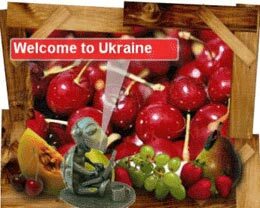 Welcome to sunny Ukraine, beautiful country with richest world's deposits of black soil and very friendly people. My name is Wild Cherry and I'm proud to be a special tortoise - Secret agent of Solo Build It! (Organization founded by Dr Ken Evoy). Our aim is to protect World Wide Web from the most dangerous cybernetic threats like S.P.A.M. and different computer viruses. We are the last barrier in front of coming anarchy and war of global Internet corporations. Our job is to keep peace between major world's super powers: United Servers of Yahoo, Google Wealth Empire and Dark lord Gates the master of Micronesia. Like other agents I was trained in special camp near Montreal (Canada). During ten extensive days I've mastered all required skills to survive in most competitive fields of Internet business. I've discovered the real power of C-T-P-M and how should work the real spy tortoise. My next task is to render the new Ukrainian computer virus called “Chernobyl” and find the developer of this dangerous threat. The virus is very aggressive. 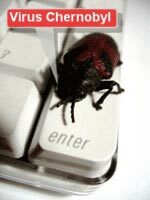 It heavily damage all computers based on English Windows by destroying all Latin characters. 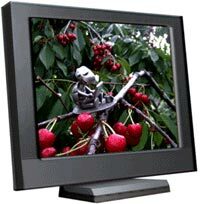 The Web is in danger and Wild Cherry is on the way to help. You might ask why tortoise? How tortoise can save the web? Turtles - is the living fossils of the planet. Even the evolution was unable to change them, they remain unchanged for the last 200 millions of years. Tortoise can live and move for dozens of days even with heavily damaged head. They live a really long life - The normal age for the land tortoise is approximately 150 years, but sometimes they could live for 200 years or more. Some types is very strong: green sea turtle can carry as many people as could fit on her shell and some is very aggressive. Another interesting feature of them - they are not afraid of cold and can crawl on the surface of ice. 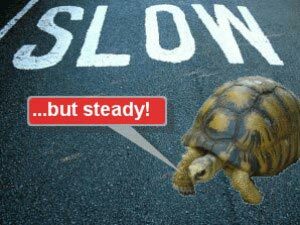 Most people think of tortoises as unwieldy and slow animals. You must know that tortoises entered the many proverbs and sayings. But on the islands of Fiji turtles considered as symbol of high speed and great navigation abilities. Sea turtles placed on the official letterhead of the marine department of Fiji. There are many people who believe that turtles are not only slow, sluggish substance, but also stupid. But it is also untrue. Some years ago very special experiments were conducted by Russian professor Leonid Krushinski. As far as I know this experiment was unique in the world and proved that turtle is smart animal capable to think. Beside turtles, in this experiments were involved a variety of birds and different animals. All of them were asked to perform the same logical task. All of them must guess: Where food has disappeared? The first turtle, like the other animals, take to the room and left near feeding. Turtle approached and started to eat. But after several minutes, the feeding pan begin slowly to move on the rails to the left. Turtle went for it. And then the unexpected happened - Delicacy has disappeared from her field of vision because the pan gone behind the wooden screen. Now everything depended on the mental abilities of turtles. To continue breakfast, she must find the direction in which the food is moving. Pigeons and field mouse were not able to solve this task. Rabbits, deprived of food, jumped, not knowing where to put themselves. Hens was looking for grain, but could not find it. Ducks tried to enter through wooden screens, not realizing that it is impossible to do so. Unlike all of them, the turtle went along the screen left and continued her breakfast. The experiment involved both living on the land and water-dwelling turtles, European and the Caspian tortoises. They all coped well with the challenge. Many people don't have even a slight idea that each tortoise is a very special. Your favourite unwieldy and slow animal by day, could be a professional secret agent playing an important role in world's informational technologies at night. So don't forget to care well about your little creature and who knows, maybe later she will share the secret of C-T-P-M with you.